Welcome to another #GalaxyNote4 post for this week. We continue to welcome new problems from our community so you can expect that more articles like this one will be published in the coming weeks. Hopefully, you’ll find this post informative. Using the Volume Down key, highlight the option wipe cache partition and press the Power key to select it. Once you’ve cleared the cache partition, make sure that you check that all apps are updated. Some apps may become incompatible with newer Android updates so you want to ensure that you only install fully updated and compatible apps. Check each of the apps individually and uninstall some that are not compatible, or problematic. Stick to official apps as much as possible. Remember, not all apps are built with same resources and expertise so not everything in the app store can be trusted to work fine. If nothing works after wiping the cache partition and installing the updates, do a factory reset. Be sure to create a backup. Launch Settings and scroll to ‘User and Backup’ section. Be sure to check how sound in your phone works after the factory reset. Let it run for 24 hours without installing anything. If it works normally, that may mean you have eliminated the bug. However, if the issue returns after installing your apps, it’s possible that one of the apps is to blame. Solution: Hi Dawn. We need more information than the ones you provide here so kindly get back to us and provide the name of the app. We can’t help you specifically if you don’t tell us the product you’re having trouble with. In the event that this is just a case of an outdated app, make sure that you have both apps updated to the same version. If the operating system in both devices are already the same, then you simply have to make sure that both apps in question are also running the most recent version available. Simply visit Google Play Store and update them. Solution: Hi Mike. Make sure that you set the default launcher under Settings>Applications/Apps>Default applications. If you have at least two launchers (like Touchwiz), make sure that you pick only one to make it as the default. I have a Samsung Galaxy Note 4. When i call someone, the device freezes, screen turns off and restarts automatically. After restarting, the phone won’t detect SIM card keeps showing NO SIM CARD Inserted. Solution: Hi Bgovind073. Taken altogether, these issues may have one main reason — bad hardware. We suggest that you perform a factory reset first so you’ll know if the issues can be fixed in your end or not. If the issues won’t go away after a factory reset, that’s clear confirmation that you have a hardware issue. You should send the phone in so it can by physically examined by a competent technician. Solution: Hi Daniel. Since you’ve already pretty much narrowed down the possible causes, you only have one more thing to do here — clearing the cache and data of of the dialer or Phone app, and factory reset. Instead of doing the steps above, you can also try to use a different dialing or calling app like Facebook Messenger or Google Hangouts (make sure not to use video or voice calling via internet). Both apps support regular calls, which are the ones routed through your carrier’s network. You can also try a factory reset (steps provided above). If the problem persists after that (and when there are no apps installed), that means you have a bad hardware. Have the phone replaced. It will not retain WIFi passwords – I have to enter password every time I reconnect. I saw your posting about this but as I’m on Android 6.01 there is no auto-connect option in setup – probably default. I assume the wifi passwords are kept somewhere that has has been corrupted and not replaced by reflashing the firmware. Maybe this is also the fingerprint issue as well as it would have to save these somewhere. Solution: Hi Mike. Fingerprint data and wifi passwords get deleted when a new firmware is flashed. We don’t have a full history of your device though so we can’t say for sure what’s happening with it. Try to remove the root software and flash everything back to stock, preferably to the original firmware that shipped with the phone when it was unboxed. If doing so won’t fix the issue, you may be right, bad hardware may be to blame. Hi there. I just got a gift from a friend which was a Note 4 and for some reason soon as i get it, it started freezing and restarting on its own. Solution: Hi Lynn. There’s nothing much that you can do if your phone won’t turn on. The only thing that we can suggest is you try to see if you can make it to power back on to other modes. Only then can you attempt some troubleshooting. If they phone remains dead though, you need to have it repaired. When the Samsung Galaxy logo shows on the screen, release the Power key but continue holding the Home and Volume Up keys. When the Samsung Galaxy logo shows on the screen, release the Power key but continue holding the Home and Volume DOWN keys. Hey the droid guy. So I have a sudden issue that I’ve had with my Samsung Galaxy Note 4 within the past week where my phone would get hot really fast when I use it and none of my compatible chargers will keep it charged. what it does is if I move the cord a tiny bit, it messes with the connection. Solution: Hi Vhing. If a new battery did not make any difference, then the problem must be the charging port. 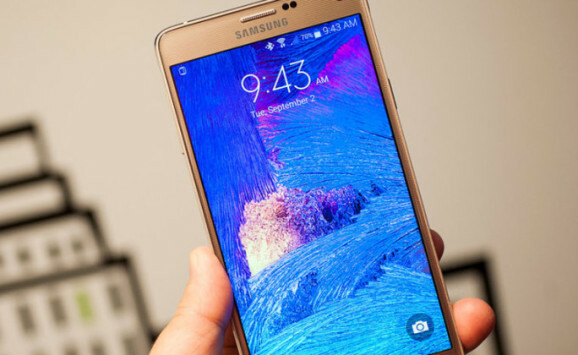 This is often one of the most common reasons why a Note 4 fails to charge, or charges erratically. Have the phone examined by a professional so you’ll get an accurate assessment. Hi. Hopefully this email still works & reaches someone. I have a Note 4 and it suddenly only boots up to the white “T-Mobile” screen. It started when my phone battery died. But for a few weeks T-Mobile was trying to install an update but I didn’t have enough available memory to do it (it was a large amount, like 3GB, but i have so many photos & couldn’t get them off). – Switching out battery for another one. – Taking the battery out, waiting at least 1 min, replacing & booting up. – Taking the battery out, the sim card out, waiting at least 1min, replacing the battery only, booting up. – Taking the battery out, the sim card out, waiting at least 1 min, replacing both, booting up. – connecting to a PC to try to move files from phone. It connected, but wanted to choose “media storage” over power on the actual phone – but since i cant get past white T-Mobile screen, i couldnt do that. T-Mobile recommended going into the store to see if they could take the data off of the phone. The only thing I haven’t tried is the factory reset because i don’t want to lose my calendar (my son has a lot of medical appointments) & 3 years of photos. Solution: Hi Jonette. You can’t transfer files from your phone to another device until the phone loads the operating system normally or in safe mode. At this time, you really don’t have any workable option that can let you get to your calendar or allow you to recover files. We doubt there’s anything people from your local T-Mobile store can do. Even Samsung can’t help you with this one. If you want to know if you can still use the phone (after sacrificing your data), you can try doing a factory reset first via Recovery Mode, then flashing the bootloader and firmware next. Below are the sample steps on how to flash a bootloader. It’s very similar on how to flash a firmware but the exact steps may be a little different for your phone model. If you want to try flashing, be sure to do some research. The steps we provide below are only for general guidance. Solution: Hi Don. Errors and issues related to rooting can be very specific and may only be interpreted by developers of the rooting software. We suggest that you contact the developer of the software you’re using, or visit the website where you got it from for support. We don’t know anything about the said software and the necessary steps to make it to work so we hope that someone who uses the same root can guide you on what to do.